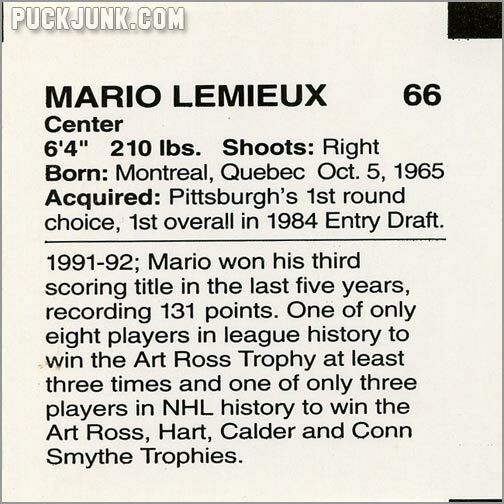 This miniscule set contains three unnumbered cards of Pittsburgh Penguins superstar Mario Lemieux. 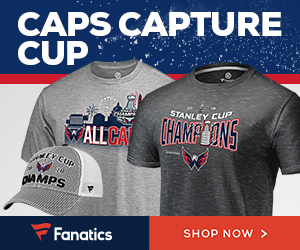 Each card measures 3″ by 3″. 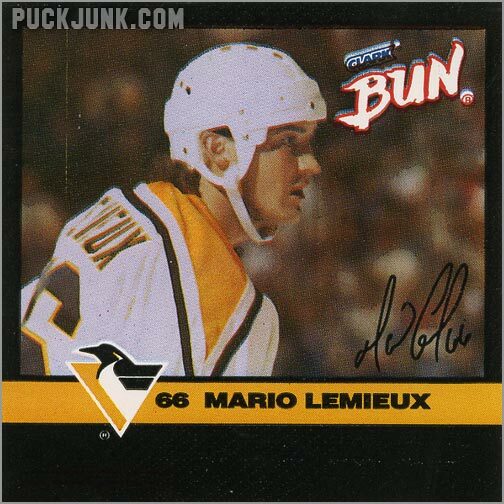 The cards were packed with Clark’s “Mario Bun” candy bars, which were sold in Canada in 1993. 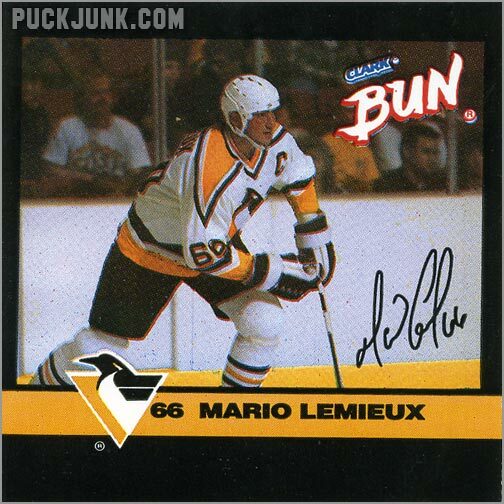 The front of each card has a photo of Mario Lemieux, along with the new (for the time) Penguins logo, the logo for Bun candy cars and a facsimile autograph. 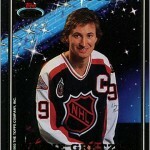 The design is simplistic and the photos are a bit blurry, giving this small set an almost “eighties” feel. 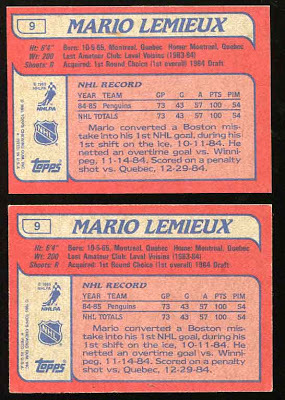 All three cards contain Lemieux’s biographical stats (height, weight, born, shoots and acquired). 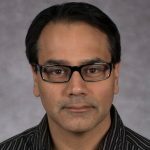 However, each one does feature different information. 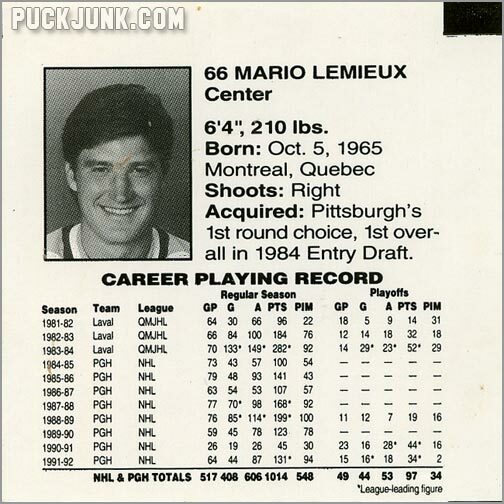 One card has a black and white headshot of Lemieux as well as his career statistics through 1991-92 on the back. 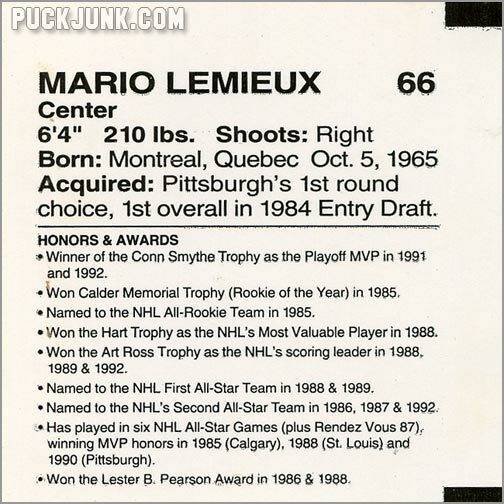 Another card lists his honors and awards, while the last card has a paragraph summarizing his accomplishments. 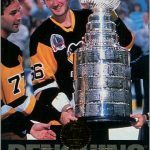 If you like Mario Lemieux, this is worth picking up. 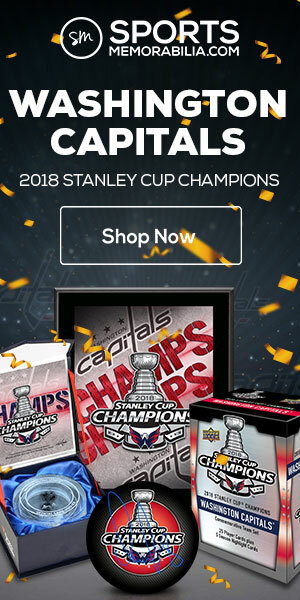 The set does not sell for much ($3 to $5) and is a unique oddball item of one of the game’s greatest players. 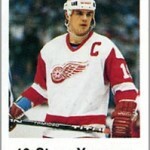 Here are images of each card (front and back). 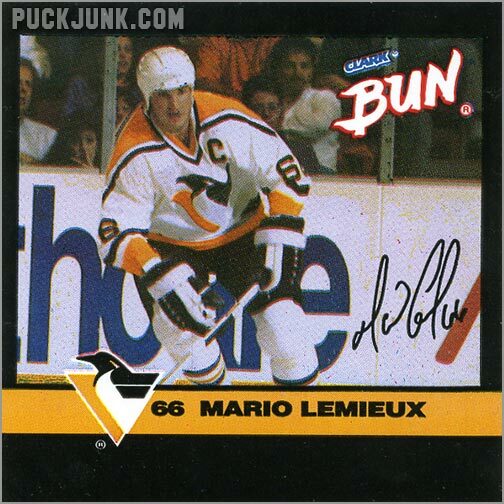 One card was packed with Clark “Mario Bun” candy bars in 1993.
i have a signed mario bun card, wonder what its worth?